Enjoying “Oktoberfest time” | Germany...? USA...? Any differences...? Today it’s time for a special post for my blog. 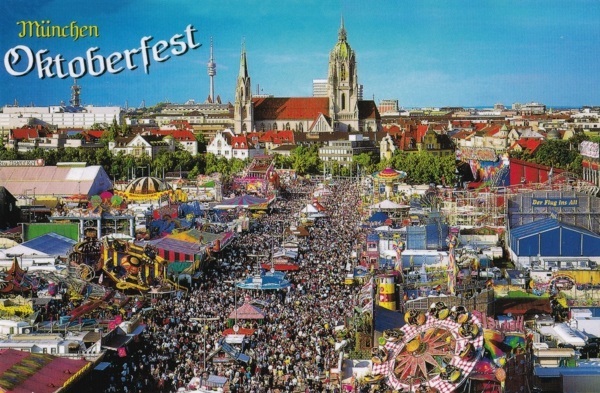 I’m going to present you the world’s biggest beer festival, the “OKTOBERFEST”. In 2010 the event in Munich celebrated its 200th birthday that takes place on a historic fairgrounds called Theresienwiese in the middle of the Bavarian capital city. The original Fest was the celebration of a Bavarian royal wedding in 1810. 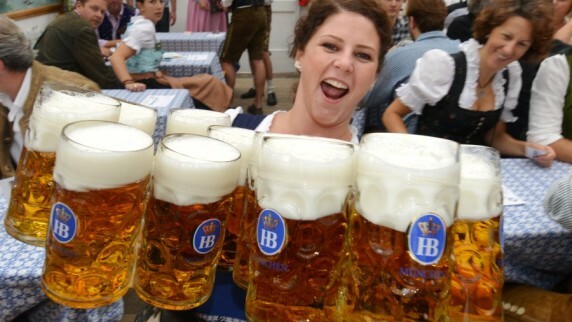 The Oktoberfest now attracts from five to six million visitors every year, many of them from outside Germany. Although it is called Oktoberfest, the 16-day event always begins in September and ends on the first Sunday in October. Every Oktoberfest begins with a parade led by the Munich mayor and the “Münchner Kindl” (Munich child, the city’s mascot, usually portrayed by a girl). Then comes the ceremonial tapping of the first beer keg at 12 noon. That honor goes to the mayor, who shouts out the traditional cry of “O’zapft is!” (“It is tapped!”) Only then can the beer start flowing and the festivities begin. The main attraction of Oktoberfest is its 13 elaborate beer tents plus the Weinzelt for wine-lovers, which are set up only during the two-week event. Yes, beer is king, but Oktoberfest is really an oversized state fair, with a carnival atmosphere and carnival rides. Ferris wheels, roller coasters, and other fair rides are a big part of Oktoberfest. There are about 80 ride attractions alone. Only Munich beer breweries are allowed to sponsor beer tents that actually look more like buildings from the front. The more popular Oktoberfest tents are booked up long before the events begin. 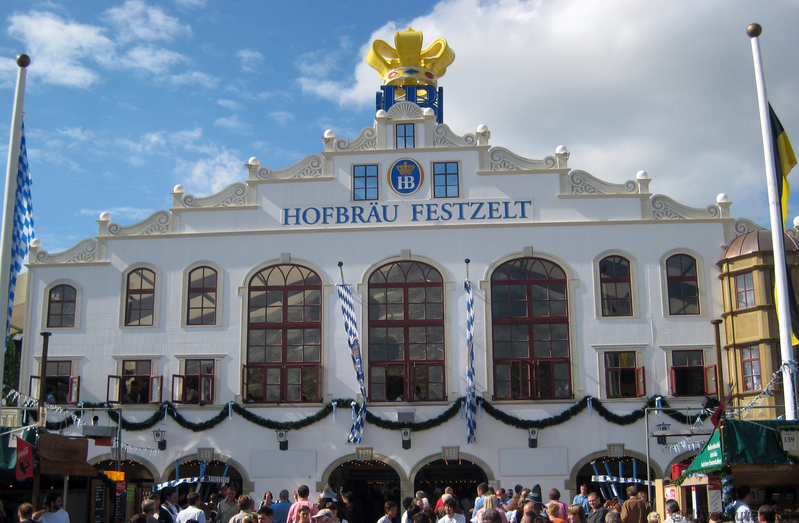 The Hofbräu- Festzelt is the largest tent and popular with Americans and other foreigners, running by the famous Hofbräuhaus Also in the US the Oktoberfest is a popular event maybe because of the fact that almost 20 percent of Americans have German ancestry. Oktoberfest in the USA roughly follows the same calendar as the one in Germany, and includes lots of beer drinking, oompah bands, and gobbling down German food like bratwurst and knockwurst. The most popular places to celebrate Oktoberfest across the USA are Cincinnati, where the largest Oktoberfest in the United States is hold, Chicago, Pittsburgh, Los Angeles or Washington DC. Time for having dinner… in the US… in Germany!! Time for building friendship… in the US… in Germany! !